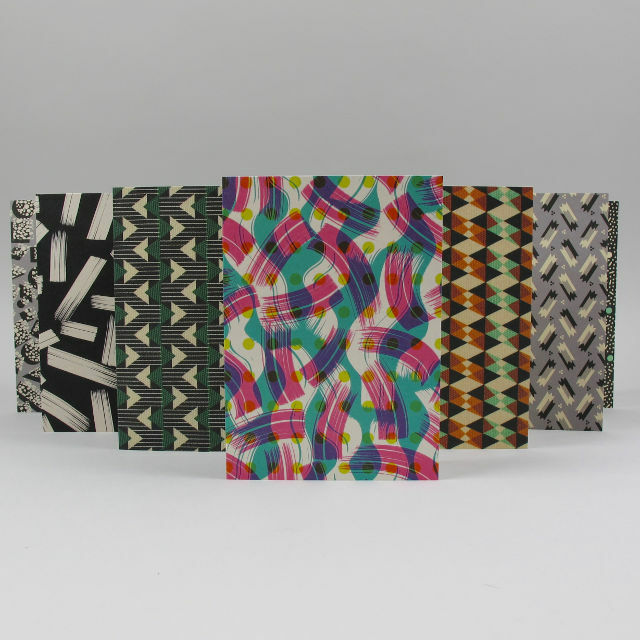 Our newest stationery supplier is Pressed & Folded – the joint creative project of James & Malissa Brown. We’ve had a couple of James’s own card designs in the shop previously via the publisher Art Angels but these new ones are the fruit of their own endeavours. We’ve split the selection of cards in to two separate listings on our website – ‘patterns‘ and ‘message‘. 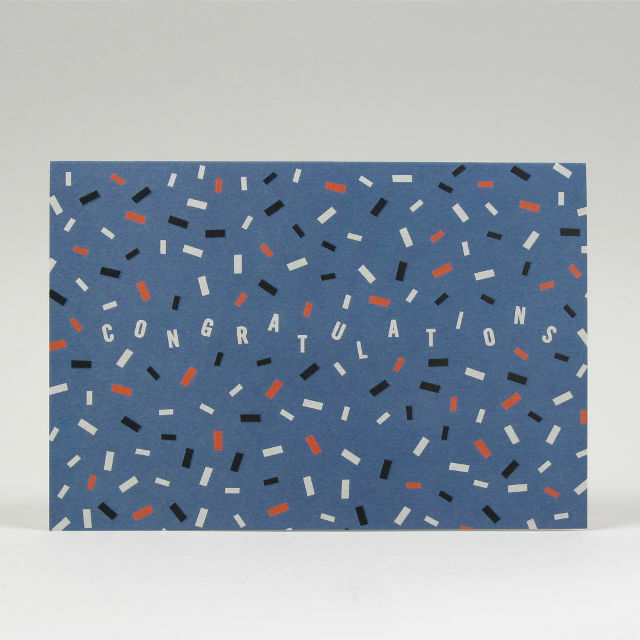 Both classifications are blank inside for your own message so you can either carry along the heartfelt ‘Congratulations’ as stated on the front of the card or undermine the basis of that with some other message of your choosing. The ‘pattern’ selection houses everything from repeat brush marks to designs that seem to have their roots in fabric. I’ve known James for a while as he worked alongside my friend Kate Gibb on a couple of exhibitions in London. Kate has a new collaborator, William Edmonds . . . . which suggests that she has ditched James . . . . I don’t think this is the case. Kate and William are working on collaborative pieces together under the moniker Touching Elbows. The name partly relates to the practice of working alongside each other, on the same side of a screenprinting table, within elbows touching distance but, according to Kate also refers to the period when they first met up which was at the height of Ebola scares and that ‘touching elbows’ was their safe form of a hug/handshake. 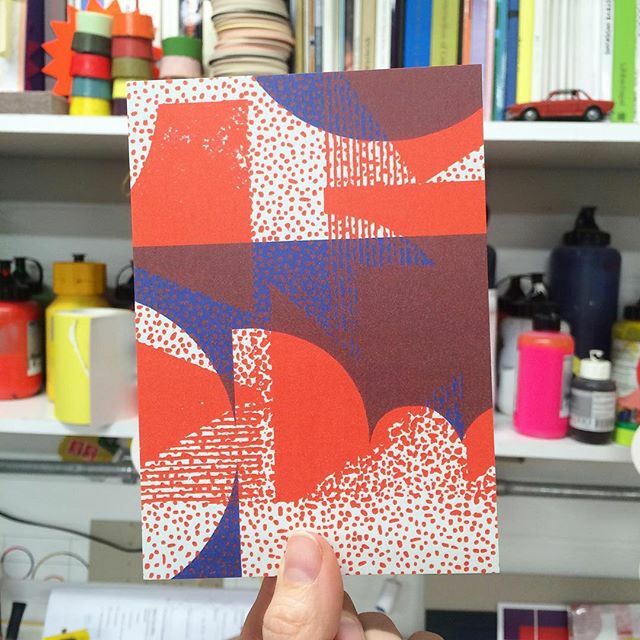 Together they have designed fabrics for Flock and and are also exhibiting this weekend at The Hepworth Wakefield Print Fair – you can see some of their prints on William’s website or on their Instagram feed.